You are here: Home / Ask an Expert / Ask an Expert: How do you advertise on Twitter? 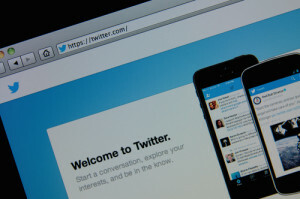 Ask an Expert: How do you advertise on Twitter? Since Twitter’s creation in 2006, an astounding 300 billion tweets have been distributed on the 20th century Twittersphere. Even more astoundingly, this online world’s name of “Twittersphere” has officially been added to the dictionary. While some view this as a trivial platform for sharing snapshots of one’s everyday life, Twitter has become a major social media network used by many and known by all. Because of its growing popularity, advertising on Twitter has become fundamental to digital marketers. An excellent way to spread brand awareness, Twitter allows marketers to send shortened advertisements — such as product descriptions or current promotions — to targeted audiences. Using this free social media network can not only help you spread brand awareness, but also connect you with industry experts and attract new eyes to your website. Know your demographic. Establishing your demographic can help you decide who to follow on Twitter and who to connect with. Often times, when you follow a person or company, they will follow back. This creates an online network for your company that will help your tweets reach new, potential customers. Targeting the right audience will help you to spread your brand awareness and gain a wider audience. Promote your tweets. Using Twitter Ads allows you to publish promoted tweets that gain wider distribution and deliver your messages to specific users at specific times. By paying for these promotions, you can tweet to non-followers with messages that are targeted by keywords, language, device, geography, interests and gender. This increases the relevancy of your messages and amplifies your messages to both existing and potential followers. Know what’s trending. Topics that are trending capture what consumers care about most, whether that is industry news or a certain product or service you offer. Using relevant, trending hashtags in your tweets provides context and helps you to become a part of a particular conversation on Twitter. Trending hashtags give your customers the opportunity to talk about topics with you by using the same hashtag in their tweets. Schedule at appropriate times. Scheduling is crucial for reaching your targeted audience. Since Twitter is an ever-changing platform of information, it is very easy for your tweets to get “lost.” Make sure you are tweeting at the select hours when your audience is most active. Use Twitter analytics to analyze your customers’ behavior and optimize your advertising campaign performance in real time. Use less text and more visual. There are 140 characters available in a tweet. Best practices suggest to limit your tweets to 120 characters. As in any form of advertising today, using all text is not the most effective approach. Along with cutting down text, utilize links to pictures, videos and other content that is relevant to your brand. This will result in more engagement from your customers. Now that you have a solid basis for advertising on Twitter, put these best practices to use and make your voice loud and clear in the Twitterverse! If you would like to learn more about integrating social advertising into your marketing campaigns, contact us today.